We all have moments when we crave comfort food—especially in the cooler months. 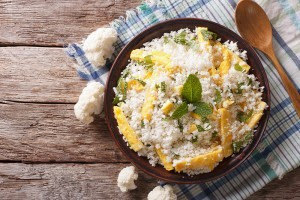 Give in to temptation the healthy way by trying these nine comfort food hacks. It’s cold and dreary outside and you find yourself craving a buttery grilled cheese sandwich with tomato soup or your grandmother’s epic macaroni and cheese recipe. As we head into football season, you may find yourself wanting a nice, warm plate of mashed potatoes, a cheesy dip or some fried chicken wings. We’ve all been there. What is it about cooler weather and the emergence of fall that makes us crave heavy, carbohydrate-based comfort foods? Comfort foods usually provide some level of comfort because of the memories they evoke. Many of us have deep emotions and positive experiences tied to certain foods, like grandma’s famous chocolate chip cookies. Research (like this paper published in 2017 in the International Journal of Gastromony and Food Science) demonstrates that when we associate foods with fond memories, it impacts how good we think foods actually taste, as well as how good those foods make us feel. In other words, foods that bring back positive memories seem to taste better and make us feel better. It’s no wonder we turn toward these foods when the weather cools down, when we’re feeling tired or stressed or when we’re craving a sense of comfort. Since many of these foods are warm and heavy, we predictably crave them more when the weather cools down and we want to warm up after chilly workouts. This study published by Scientific Reports shows that people tend to seek higher-calorie, higher-fat foods during both periods of stress and when they feel happy. These foods are highly palatable to our taste buds and may temporarily activate pleasurable centers in our brains. While the feeling may not last, they can momentarily make us feel good. 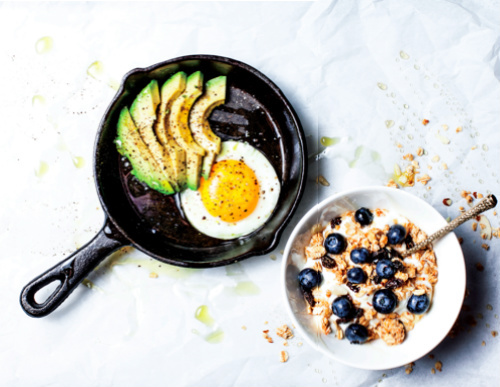 You may feel relieved and elated (and exhausted) after knocking out that early Saturday morning 20-mile run and find yourself craving all the heavy food you can imagine. Maybe you’ve experienced that “runner’s high” and want food that will nourish your body and help enable recovery. Your body is well aware that comfort foods often provide ample calories and carbohydrates, which is a big part of helping your body to recover. In this case, craving comfort foods after a long run or workout isn’t necessarily a bad thing or meant to “wreck your diet.” It’s your body’s way of asking for more fuel and maybe some fuel that you enjoy and associate with positive memories. There are ample comfort food options that meet the criteria for post-workout nutrition in terms of carbohydrates and protein. Of course, there’s certainly room for that slice of pizza or lasagna. However, you’ll likely find that some options provide more food than you really need after workouts, and rather than leaving you feeling energized, those meals may instead leave you feeling overly stuffed and lethargic. Chop up some veggies to add to your grilled cheese or lasagna. Peppers, onions, spinach, eggplant and herbs are all easy, nutrient-rich options that blend well with cheese. 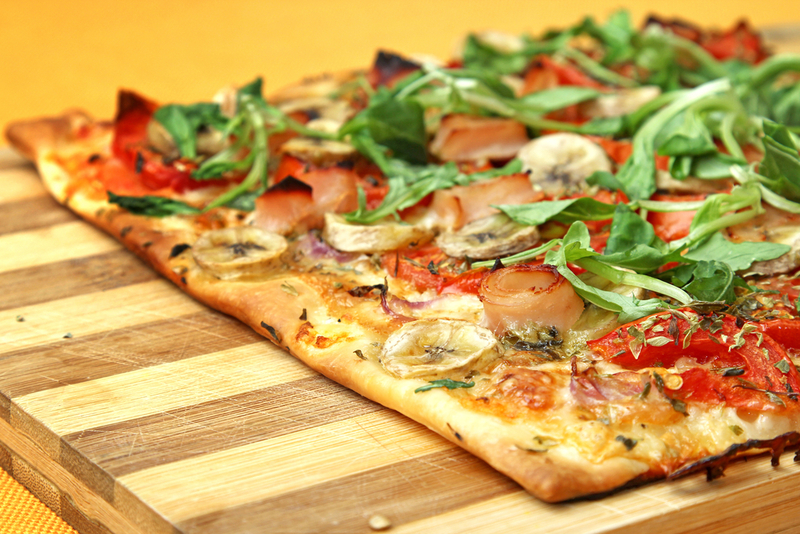 To lighten up your pizza, make your own thin-crust pizza from tortillas or flatbread. Top with sauce, cheese and some lean protein and veggies. If you’re craving something cold, mix together frozen fruit, yogurt, nuts or seeds, nut butter and your choice of milk for a refreshing smoothie bowl. Boost it with beets for some extra antioxidants. Make pancakes with whole-wheat flour and top them with yogurt, peanut butter and fruit to add some lean protein and antioxidants. Roast sweet potato or russet potato slices and make your own fries. Cut in thin rectangle shapes, season with salt, pepper, garlic powder and parmesan, and throw them in the oven for 25 to 35 minutes. Make your own version of fried chicken without the deep fryer. Marinade chicken breasts with olive oil or Greek yogurt and then coat with panko, breadcrumbs or almond flour. Heat in the oven until crispy. Add some spiralized zucchini, sweet potato or carrot noodles to your post-run pasta dish for a blend of regular pasta and extra veggies. You can also top your pasta with your own marinara sauce and load veggies on top. To make banana ice cream, take frozen banana slices and add your choice of milk, yogurt, peanut butter and/or cocoa powder and blend in a high-speed blender. Top with your choice of desired toppings. While some of these lighter food options may do the trick, sometimes you may just want the real thing. Make it count when you do, and focus on enjoying it. At the end of the day, it is important to be able to enjoy the food you eat! Ketogenic Diet Or To Carb Load? That Is The Question. To Keto Or To Carb? That Is The Question.